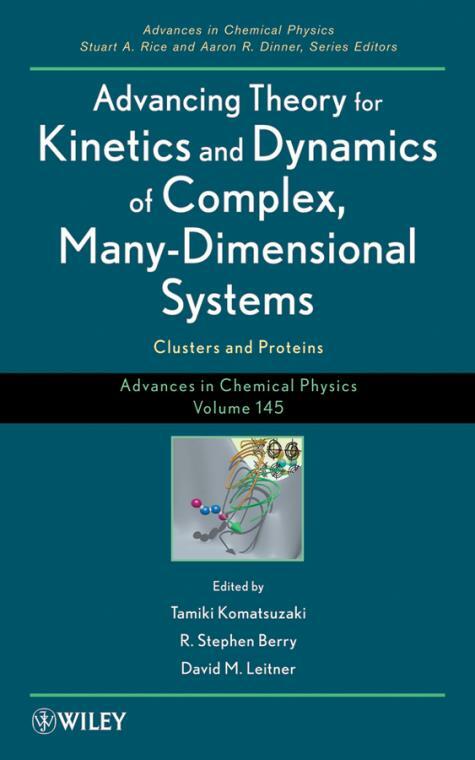 This series provides the chemical physics field with a forum for critical, authoritative evaluations of advances in every area of the discipline.Volume 145 in the series continues to report recent advances with significant, up–to–date chapters by internationally recognized researchers. Non–Markovian Theory of Vibrational Energy Relaxation and its Applications to Biomolecular Systems (Hiroshi Fujisaki, Yong Zhang, and John E. Straub). Protein Functional Motions: Basic Concepts and Computational Methodologies (Sotaro Fuchigami, Hiroshi Fujisaki, Yasuhiro Matsunaga, and Akinori Kidera). Non–Brownian Phase Space Dynamics of Molecules, the Nature of Their Vibrational States, and Non–RRKM Kinetics (David M. Leitner, Yasuhiro Matsunaga, Chun–Biu Li, Tamiki Komatsuzaki, Akira Shojiguchi, and Mikito Toda). Dynamical Reaction Theory Based on Geometric Structures in Phase Space (Shinnosuke Kawai, Hiroshi Teramoto, Chun–Biu Li, Tamiki Komatsuzaki, and Mikito Toda). Ergodic Problems for Real Complex Systems in Chemical Physics (Tamiki Komatsuzaki, Akinori Baba, Shinnosuke Kawai, Mikito Toda, John E. Straub, and R. Stephen Berry).